Everyone was out on the party scene in Beverly Hills last night…that is, all of the Kardashian-Jenner exes. Blac Chyna, Rob Kardashian’s ex-fiancée, has been keeping busy since Rob leaked her nudes on social media. 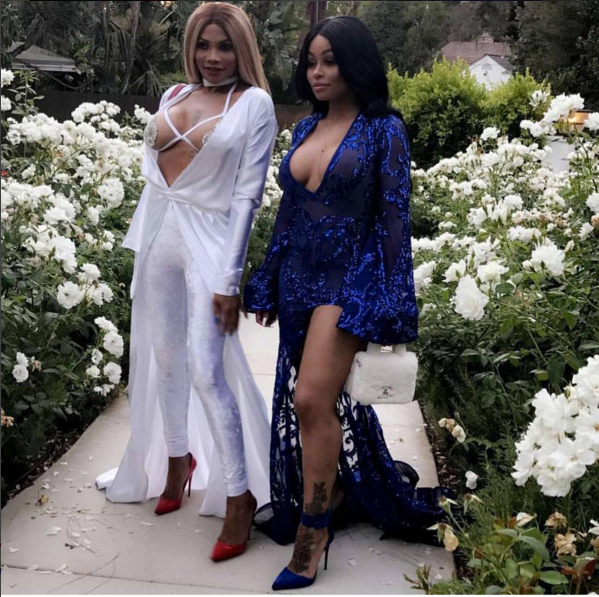 Chick linked up with Nicki Minaj to shoot scenes for Yo Gotti’s “Rake It Up” video treatment. Then, she copped two new luxury rides after she returned the cars her ex copped her. Now, she’s hitting the party scene. The mom-of-two made her way to the iGO.Live app launch party in Beverly Hills rocking a blue sheer and sparkly Dare To be Vintage dress accented with a mini train and finished her look with blue ankle heels. 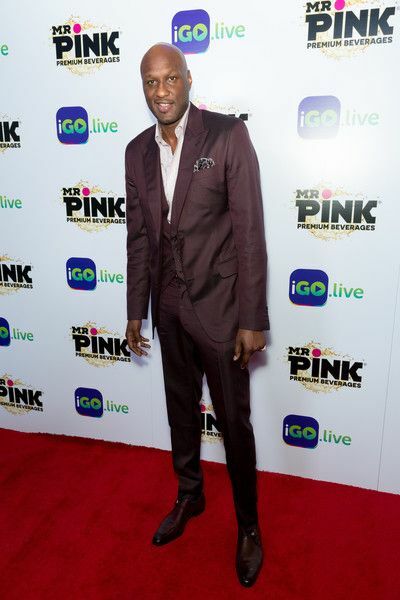 Former NBA player Lamar Odom, Khloe Kardashian’s ex-husband, popped up on the scene for the festivities. He’s reportedly working on a new tell-all book where he will share intimate details about his near fatal drug overdose and other things. He said NOTHING is off-limits. If Lamar does end up publishing a tell-all, are you going to read it? We wonder what secrets were shared during this moment. 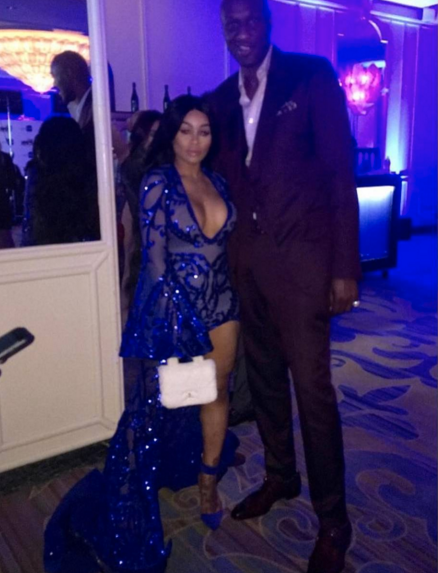 Rapper Tyga, ex-boyfriend of Kylie Jenner & Chyna’s son’s father, got all dressed up for the event. We wonder if Chy and Tyga ran into each other at the event. Since they share a song together, we doubt it was that awkward if they did. Oh..OK! Pepa, from legendary girl group Salt-N-Pepa, was also rocking a Dare To Be Vintage ensemble on the carpet. Pasties and all. Pepa and Chy posed it up before they hopped in their whip to head to the event. Hmm...new besties? Former reality star Laura Govan strutted her stuff in a sheer number on the carpet. Her ex-Gilbert Arenas has been on his f*ck boi foolishness lately and we're curious to know what she thinks about him always bashing dark skinned women when they share dark skinned daughters.